Research: Crosslinguistic study of the acquisition of tense-aspect morphology, particularly the acquisition of Japanese. Typological study of tense-aspect systems. Cognitive models of L2 acquisition and use, particularly the connectionist model. Yasuhiro Shirai (PhD, University of California, Los Angeles), Eirik Borve Professor of Modern Languages and Chair of Department of Modern Languages and Literatures– Professor Shirai teaches fervently in the field of Applied Linguistics, seeking to make viable utilization of the discoveries of linguistic disciplines. He represents considerable authority in considering how individuals comprehend a first or second language. He has published many publications about the inferences of such research for teaching Foreign Language. His research interests include L1 and L2 acquisition of tense-aspect morphology, and cognitive models of language acquisition. His articles have appeared in various journals such as Applied Psycholinguistics, Developmental Science, First Language, Journal of Child Language, Journal of Pragmatics, Language, Language Learning, Memory & Cognition, Studies in Language, Studies in Second Language Acquisition, and TESOL Quarterly. He has (co-) authored and (co-)edited more than ten books/special issues of journals. 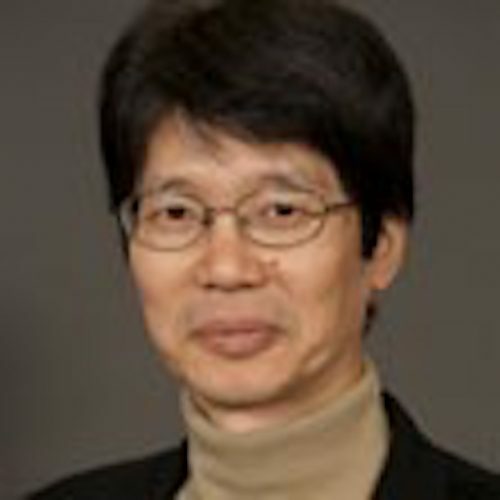 He was a Japan Foundation Fellow (2001-2002), is editor of Studies in Language Sciences, an associate editor of First Language, and serves on the editorial boards of Studies in Second Language Acquisition, International Review of Applied Linguistics, and Journal of Cognitive Science. Ryu, J., Horie, K. & Shirai, Y. (in press). The L2 Acquisition of the Korean imperfective aspect markers -ko iss- and -a iss- by Japanese learners: A multiple-factor account. Language Learning. Chen, J. & Shirai, Y. (2015). The acquisition of relative clauses in spontaneous child speech in Mandarin Chinese. Journal of Child Language, 42, 394-422. Shirai, Y. (2014). The semantic basis of grammatical development: Modularity,innateness, and the theory of grammar. In K. Kabata & T. Ono (Eds. ), Usage-based approaches to Japanese grammar: Towards the understanding of human language (pp. 153-170). Amsterdam: John Benjamins. Shirai, Y. (2014). The acquisition of tense-aspect in Asian languages. In H. Winskel & P. Padakanna (Eds. ), South and Southeast Asian psycholinguistics (pp. 60-70). Cambridge: Cambridge University Press. Shirai, Y. & Vercellotti, M. (2014). Language acquisition and language assessment. In A. J. Kunnan (Ed. ), The companion to language assessment: Volume III, Evaluation, methodology, and interdisciplinary themes. Malden,UK:Wiley-Blackwell. Shirai, Y. (2013). Defining and coding data: Lexical aspect in L2 studies. In R. M.Salaberry & L. Comajoan (Eds. ), Research design and methodology in studies on L2 tense and aspect (pp. 271-308). Berlin and New York: Mouton de Gruyter. Chan, H. L., Finberg, J., Costello, W., & Shirai, Y. (2012). L2 acquisition of tense-aspect morphology: Lexical aspect, morphological regularity, and transfer.In L. Filipović & K. M. Jaszczolt (Eds. ), Space and time across languages and cultures, vol. 1: Linguistic diversity (pp. 181-204). Amsterdam: John Benjamins. Shirai, Y. (2012). Second language acquisition research and Japanese language teaching: A functionalist approach. Japanese Studies, 32, 317-334. Costello, W. & Shirai, Y. (2011). The Aspect Hypothesis, defective tense and obligatory contexts: A reply to Haznedar, 2007. Second Language Research, 27, 467-480. Shirai, Y. (2010). Semantic bias and morphological regularity in the acquisition of tense-aspect morphology: What is the relation? Linguistics, 48, 171–194. Ozeki, H. & Shirai, Y. (2010). Semantic bias in the acquisition of Japanese relative clauses. Journal of Child Language, 37, 197-215. Chen, J. & Shirai, Y. (2010). The development of aspectual marking in Mandarin Chinese. Applied Psycholinguistics, 31, 1–28. Robinson, P., Cadierno, T. & Shirai, Y. (2009). Time and motion: Measuring the effects of the conceptual demands of tasks on second language speech production. Applied Linguistics, 30, 533–554. Sugaya, N. & Shirai, Y. (2009). Can L2 learners productively use Japanese tense-aspect markers? A usage-based approach. In R. Corrigan, E. Moravcsik, H. Ouali & K. Wheatley (Eds. ), Formulaic language: Volume 2. Acquisition, loss, psychological reality, functional applications. Amsterdam: John Benjamins. Shirai, Y. (2009). Temporality in first and second language acquisition. In W. Klein & P. Li (Eds. ), The expression of time (pp. 167-193). Berlin and New York: Mouton de Gruyter. Luk, Z. P. & Shirai, Y. (2009). Review article: Is the acquisition order of grammatical morphemes impervious to L1 knowledge? Evidence from the acquisition of plural -s, articles, and possessive ’s. Language Learning, 59, 721-754. Yap, F-H., Yiu, E, Chu, P. Wong, S., Kwan, S., Matthews, S., Tan, L-H., Li, P., & Shirai, Y. (2009). Aspectual asymmetries in the mental representation of events:Role of lexical and grammatical aspect. Memory & Cognition, 37, 587-595. Shirai, Y. & Ozeki, H. (2007). Introduction to the special issue “The acquisition of relative clauses and the noun phrase accessibility hierarchy: A universal in SLA?” Studies in Second Language Acquisition, 29, 155-167. Ozeki, H. & Shirai, Y. (2007). Does the Noun Phrase Accessibility Hierarchy predict the difficulty order in the acquisition of Japanese relative clauses? Studies in Second Language Acquisition, 29, 169-196. Shirai, Y. (2007). The aspect hypothesis, the comparative fallacy, and the validity of obligatory context analysis: A reply to Lardiere (2003). Second Language Research, 23, 51-64. Sugaya, N. & Shirai, Y. (2007). The acquisition of progressive and resultative meanings of the imperfective aspect marker by L2 Learners of Japanese: Universals, transfer, or multiple factors? Studies in Second Language Acquisition, 29, 1-38. Nakayama, M., Mazuka, R. & Shirai, Y. (Eds.) (2006). Handbook of East Asian psycholinguistics: Volume 2, Japanese. Cambridge: Cambridge University Press. Li, P. & Y. Shirai (2000). The acquisition of lexical and grammatical aspect [Studies on Language Acquisition, 16]. Berlin: Mouton de Gruyter. Shirai, Y. & Andersen, R. (1995). The acquisition of tense/aspect morphology: A prototype account. Language, 71, 743-62.